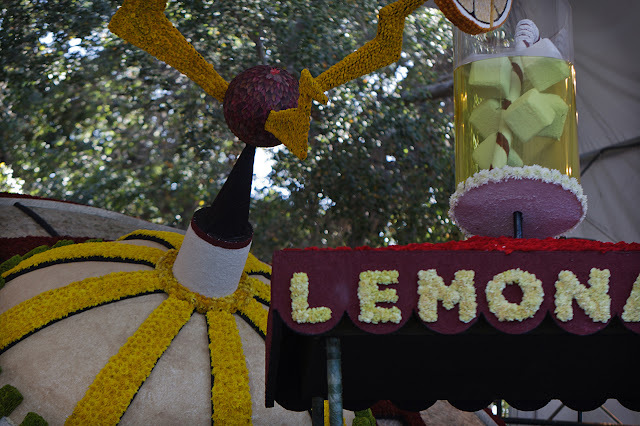 This is a small piece of the City of South Pasadena's self-built float. South Pas has a long tradition of building the cities Rose Parade float by city residents and no large companies. It's always something fun and playful.